Parrot has finally released a quality successor to the Bebop series. The new Parrot Anafi is a lightweight and foldable drone that has a 2.5-mile range and a camera that is capable of taking 4K HDR photos and video. With the ability to look both up and down a full 90-degrees the new Parrot Anafi is a worthy competitor to the DJI Mavic Air and DJI Spark. With Yuneec and Autel apparently bowing out of the sub-$1000 market, the Anafi is the most interesting competition for DJI’s consumer drones. The Parrot Anafi gimbal has 180-degrees of travel. We have done a full comparison of the Parrot Anafi and the DJI Mavic Air and the DJI Spark. If you want to see how they stack up and figure out which one is best for you click on the links below. We have the complete table and full comparisons in the links below. The Parrot Anafi is a quality option. The most exciting part of the Parrot Anafi is definitely the camera. With the ability to look both up and down 90-degrees, you can get shots with the Anafi that you can’t get with any other drone. The ability to look up is something we have wanted to see on a drone for a while, and it allows for some exciting and creative shots. Props to Parrot for letting the Anafi look up through the props. The 4K camera is capable of taking nice 21 MP photos, similar to the quality we get from our 20 MP Phantom 4 we hope. But the exciting news is that with the Anafi you will be able to zoom an impressive 2.8x when filming in 1080 full HD resolution. This is another awesome feature. The camera is stabilized by both a 2-axis mechanical gimbal and also using electronic image stabilization (EIS). Parrot has strong experience with EIS, as it’s Bebop and Bebop 2 models relied exclusively on EIS for stabilization. The Anafi is an interesting looking drone. The Parrot Anafi is a lightweight and foldable drone. Weighing under a pound and folding up in less than three seconds, the Anafi is an ultraportable drone. The Anafi ships with the new Skycontroller 3 and will start shipping July 2nd. The Anafi retails for $699. 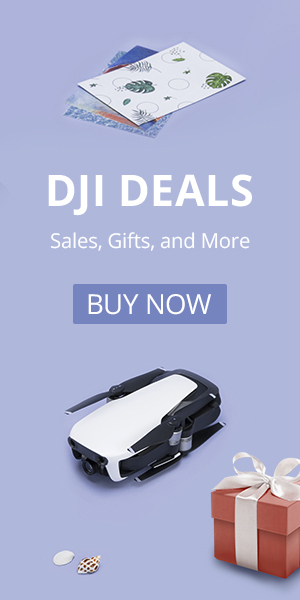 That makes the Anafi a definite competitor to the Mavic Air, which is a bit more expensive, and the DJI Spark, which costs less than the Anafi. The Anafi is reported to be modeled off of insects, and the design does seem to reflect that. While we like the inspiration, we think they could have done better in a couple of areas. First of all, the white camera does stand out, and not necessarily in a good way. In addition to the camera’s mismatched appearance, the base of the gimbal support structure looks very “function over form”; they could have cleaned that up a bit. The lookup angle makes the Parrot Anafi unique. Clearly, the most exciting thing about the Anafi is the upward-looking camera. But that’s not all Parrot has up their sleeve. With a 21 MP sensor, Parrot added a built-in “dolly zoom” feature. The inclusion of a “vertigo effect” mode is something that we have been waiting to see in drones for a while. Don’t expect to see this feature added to the 12 MP Mavic Air or Spark, which don’t have enough extra pixels to do this as well as the Anafi. There is some information that Parrot is also integrating 3D matting in ways that DJI has not before, but we see very little information about this on Parrot’s site. Parrot has also included some cool flight modes like follow me, orbit, waypoints, boomerang, tornado, and parabola. Check out our video above, which walks through all of the details and shows off what the Anafi can do. Notably missing are some of the 360 stitching modes that DJI has started to play with – our favorite being Asteroid mode on the Mavic Air. The Anafi isn’t a slam dunk, let’s review some features that it notably doesn’t have, and some issues we have already spotted from promotional videos. First up, the Anafi is lacking any form of obstacle avoidance. 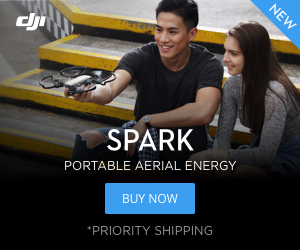 After flying the Spark, which has forward avoidance, we don’t consider this a deal breaker. While we don’t think one or two-sided avoidance is all that useful, consumers may see this as a downside. A second spec where the Anafi falls short is the video frame rate. With an ability to record 4K at 30 fps (frames per second) and 1080 at 60 fps, the Anafi falls short of the Mavic Air’s capabilities. Finally, we have already seen some examples of choppiness from the example videos that Parrot has issued. While DJI drones sometimes exhibit this as well, the stuttering was particularly noticeable in several shots…and that’s the stuff they were promoting. We hope this is an artifact of the stream or that it is an issue that is resolved with a firmware update.